Brian Bronaugh built this most beautiful cordwood tool shed near Pittsburgh, Pennsylvania. Brian said, “I’ve enjoyed the process immensely and have embraced the Japanese philosophy of wabi-sabi – which is finding beauty in imperfections. It has a beautiful artistry and function that is unique and eye pleasing. 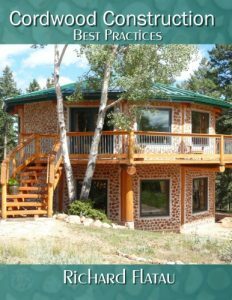 My inspiration was the David Stiles book Sheds – The Do-it-Yourself Guide for Backyard Builders.” The pictures are pretty much self-explanatory and you can see the use of recycled windows, doors, wood and metal everywhere. A testament to hard work and ingenuity, the building is framed and roofed before the cordwood infill was applied. Very smart! The sliding door adds a nice touch. Note how it slides on a track “out” from the building. 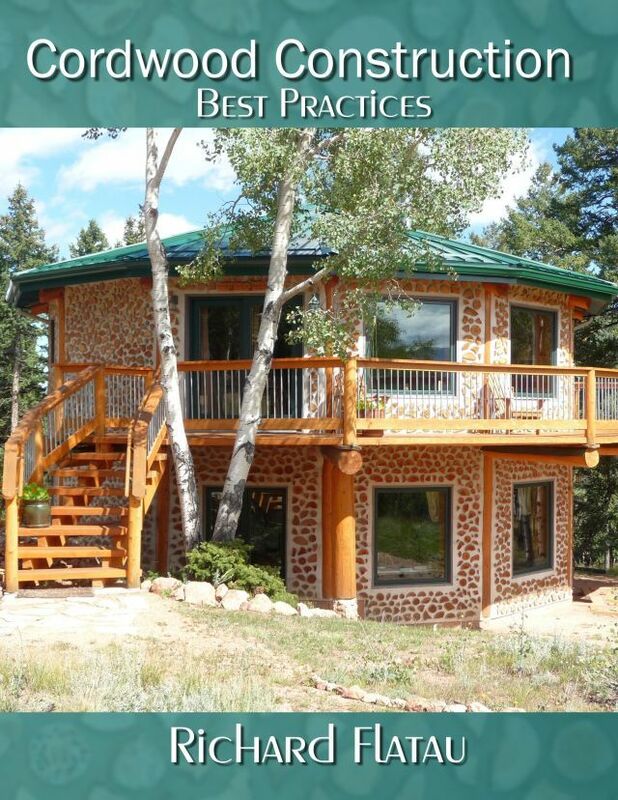 Having a framework makes the cordwood infill “flow.” A porch gives access to the exterior. The star motif is subtle and effective. The interior is very attractive and will be filled with working antique tools. A snowy winters day near Pittsburgh. The floor was in place before the framework was erected. Nice work Brian. You achieved your goals and then some. 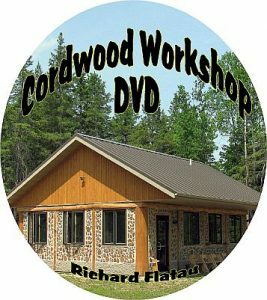 Should anyone wish to learn more about Cordwood Construction and all the different choices available for building with this old-fashioned technique: visit www.cordwoodconstruction.org or click on the book cover.